All monuments will be custom designed. Each color has its own unique attributes. Fricke Memorials provides custom-made memorials designed to commemorate your loved ones. With a variety of options in size, color, and design, our talented staff will help you build your perfect monument. We use the finest tools and materials to provide memorials of the highest quality. We are the only full service monument company on Long Island. We build your monument at each stage, from the design’s conception to the final installation. With over sixty years in the industry, we have established a strong reputation for providing high quality, detailed, and personable service to our customers. As a third generation monument company, talent has been passed through the generations and on to our esteemed staff. We are known for our in-house etching designs, our expert engraving and setting, and industry know-how. This reputable talent has earned us the honor of contributing to the installation of some of the island’s most cherished memorials including The TWA Flight 800 International Memorial at Smith Point and the 9/11 Responders Remembered Park in Nesconset. 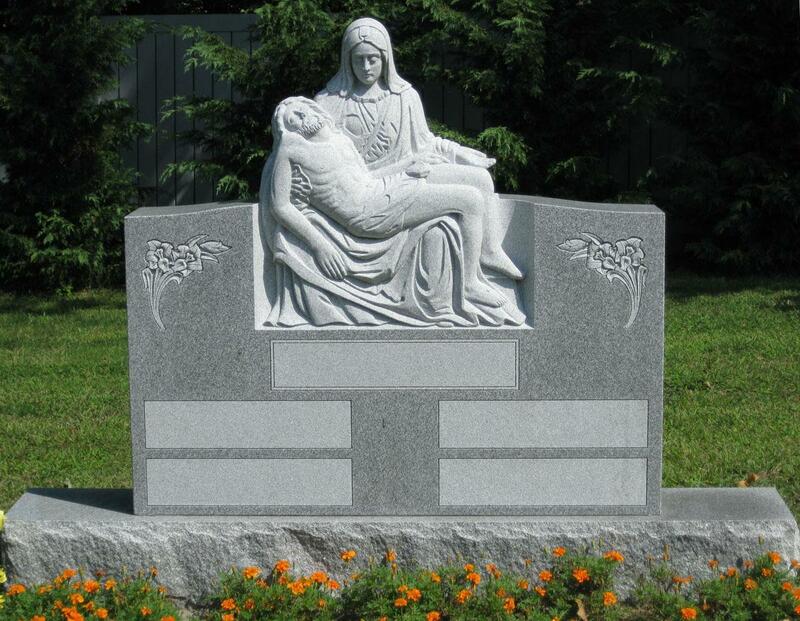 Monuments: Offering a selection of high quality granites and customizable designs for headstones, footstones, estate plots, and pet memorials. Cemetery Inscriptions: Expertise in on-site cemetery lettering. Etching: Customization and detail with expert etching for portraits, scenery, and more. Restoration and Repair: Creative solutions for damaged monuments, thorough cleanings, and more. Civic and Community Projects: Actively and enthusiastically engaging in community and civic projects across Long Island.